Former GSU Commander Glenn Caliz…his name has been mentioned on two occasions last week in respect of an investigation reportedly being carried out by the Ministry of Home Affairs into monies that are unaccounted for at the office of the Gang Suppression Unit. A letter from the office of C.E.O. 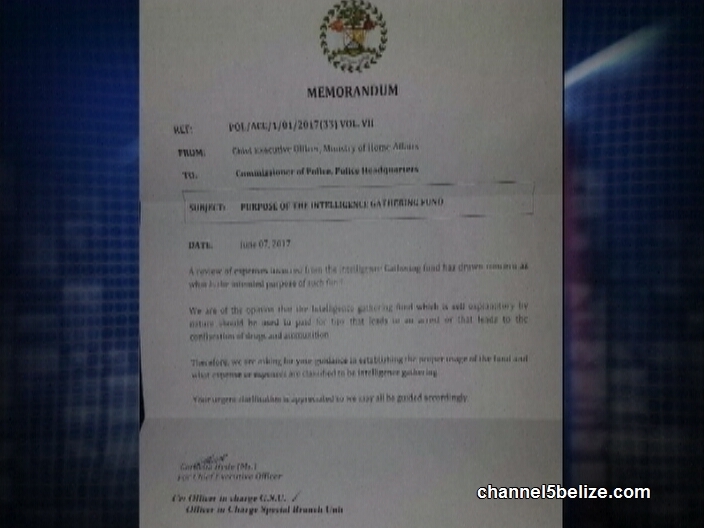 George Lovell dated June seventh, 2017 calls into question the use of the Information Gathering Fund, monies that are earmarked for the compensation of persons who provide the GSU with information and leads that result in arrests and seizures. 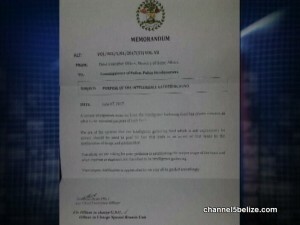 While that letter, which was also forwarded to the Head of Special Branch, was sent out while Caliz was still the commander of the GSU, News Five has been informed that Caliz was never the subject of the investigation since the misappropriation of almost sixty thousand dollars from that fund happened prior to him taking leadership of the special task force. Caliz was transferred to the GSU in the wake of former Commander Mark Flowers’ departure in 2016. Again, we stress that he was never the subject of any internal investigation into the disappearance of those monies. He has since been transferred from the GSU and is replaced by Andres Makin as commander.